Who Even Needs a First-Class Ticket When You Have the Best Designer Luggage? 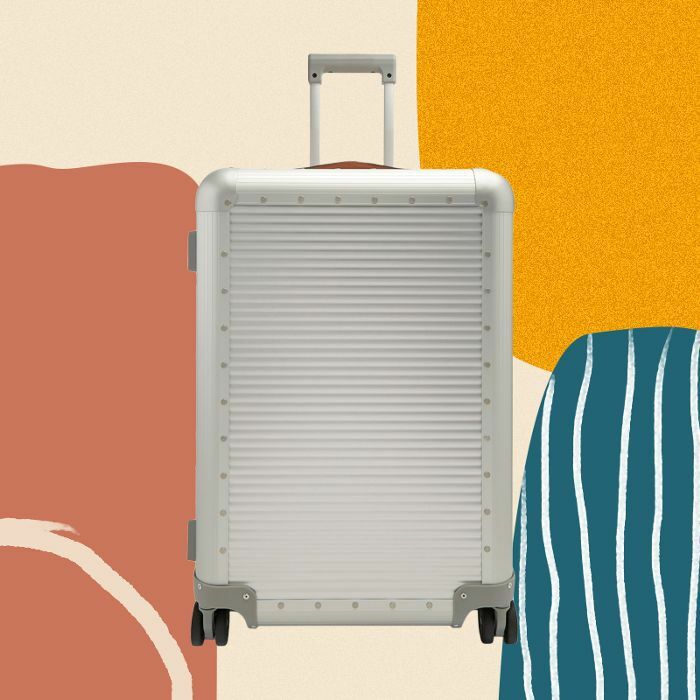 It's always tempting to cut corners when shopping for travel essentials—I'm definitely familiar with opting for the wallet-friendly options out there—but if there is one space where you should invest in quality, it's with your luggage. Quality suitcases aren't just elegant; they last longer. Every last detail, from the wheels to the leather stitching or the zipper, has been crafting to the highest standards, ensuring that your luggage will last for decades. 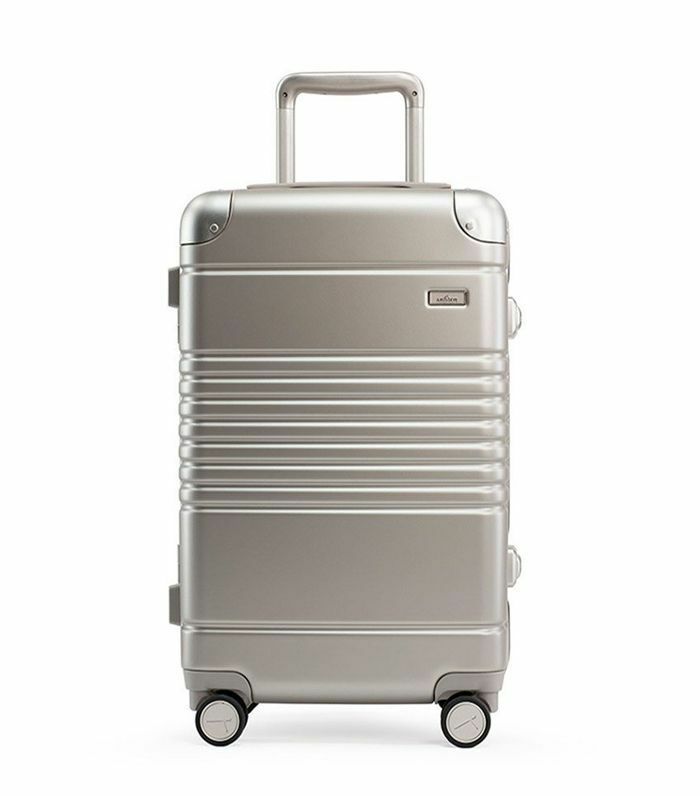 So while it may be tempting to hurriedly purchase a budget suitcase that may or may not burst open in the departures lounge at LAX in two years because the zipper decided to give in right before your international flight, consider spending just a little more for a quality suitcase that will last you a lifetime. Besides, it'll make brushing shoulders with CEOs all the more natural next time you get upgraded. Convinced? Here are the best designer luggage brands. Italian luggage brand Valextra isn't exactly what you'd call "budget," but if you're on the market for an exquisite quality Italian leather suitcase, this is hands down the best. We like Paravel for its chic aesthetic, but we love it even more because its weekender bag is made from stain-proof canvas, so it'll stay looking brand-new for years. 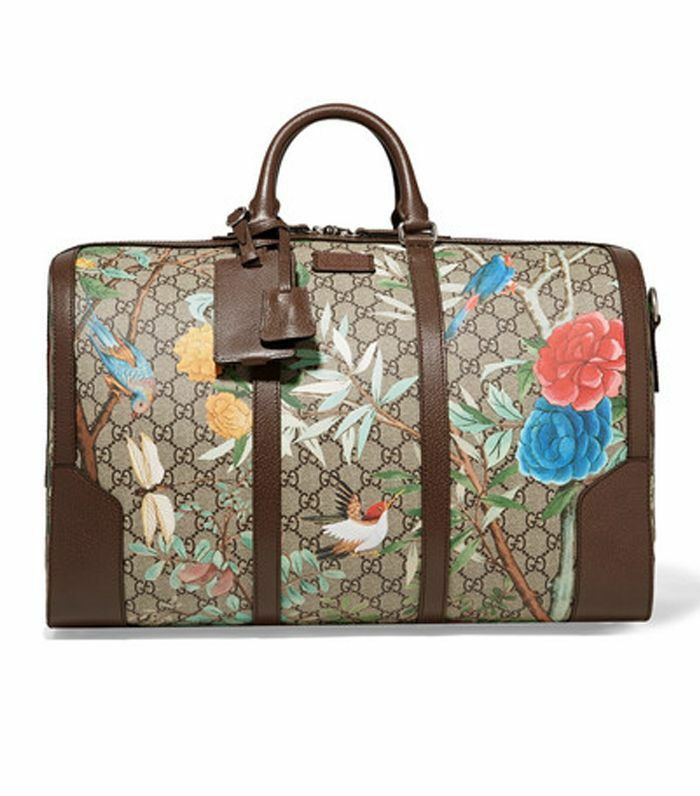 The purveyor of the fashion world's most coveted box bags also makes suitcases. 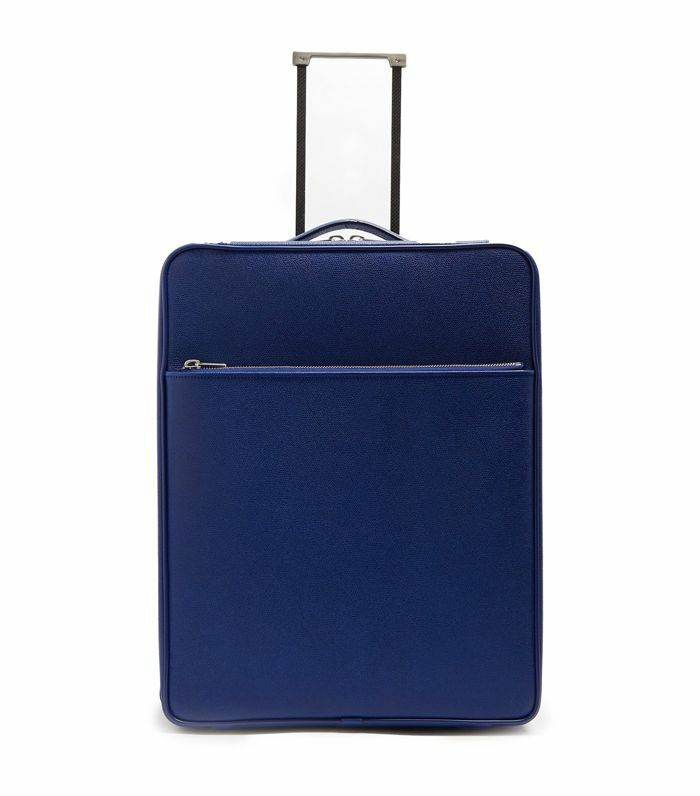 We love Marc Cross luggage for its sleek look and unparalleled quality. Spoiler: Grace Kelly was a fan. 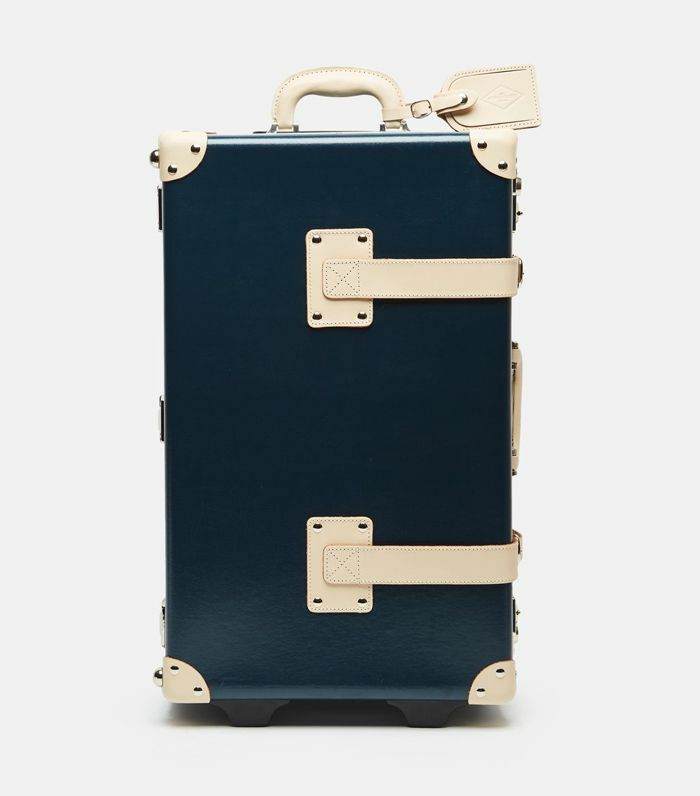 If Globe-Trotter is good enough for Queen Elizabeth II and Sir Winston Churchill, as the brand claims, it's good enough for us. 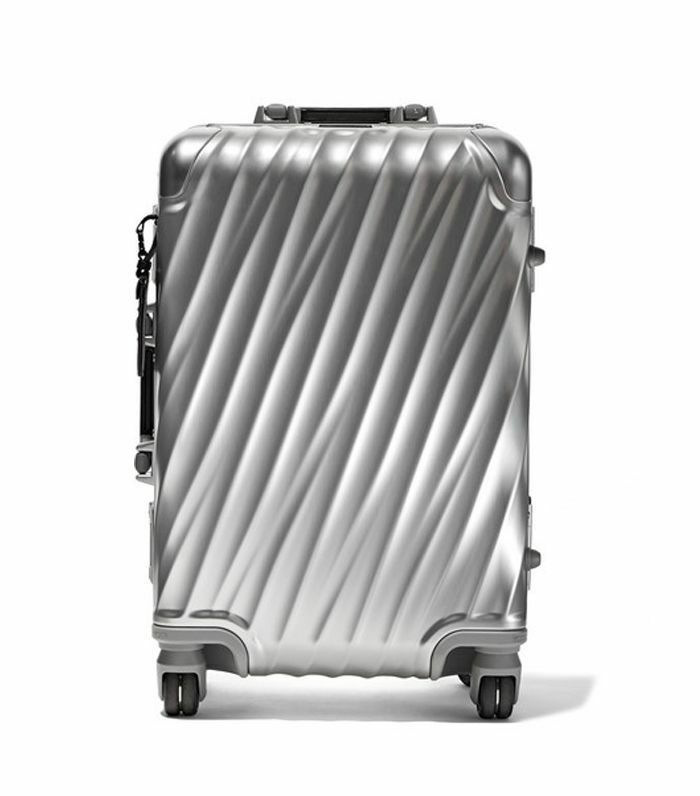 This luxury luggage brand is the pinnacle of suitcases. 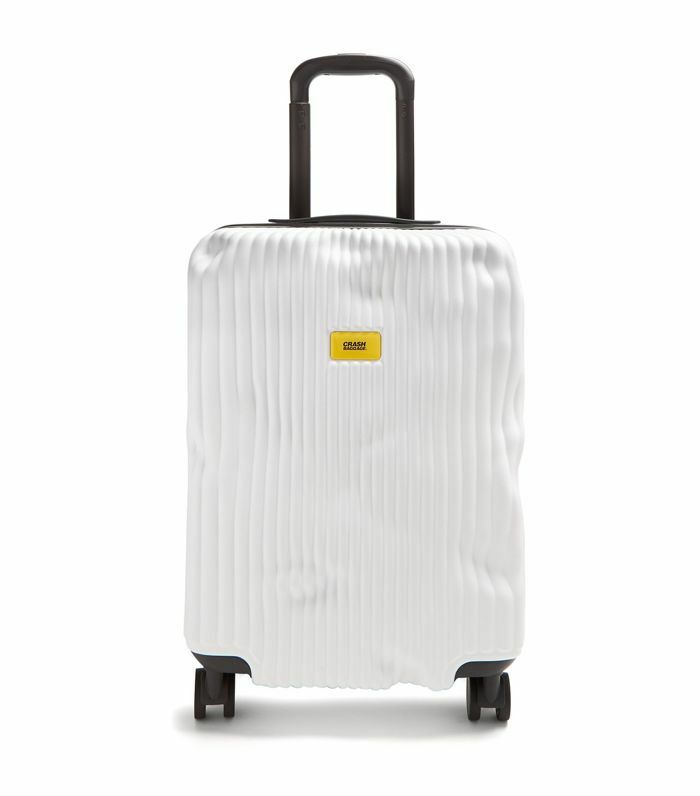 This clever brand figured out that our luggage always gets banged up in the baggage hold, so it created a suitcase line that will conceal any dent that was accidental. One could not talk about designer luggage without mentioning the iconic Louis Vuitton bags. 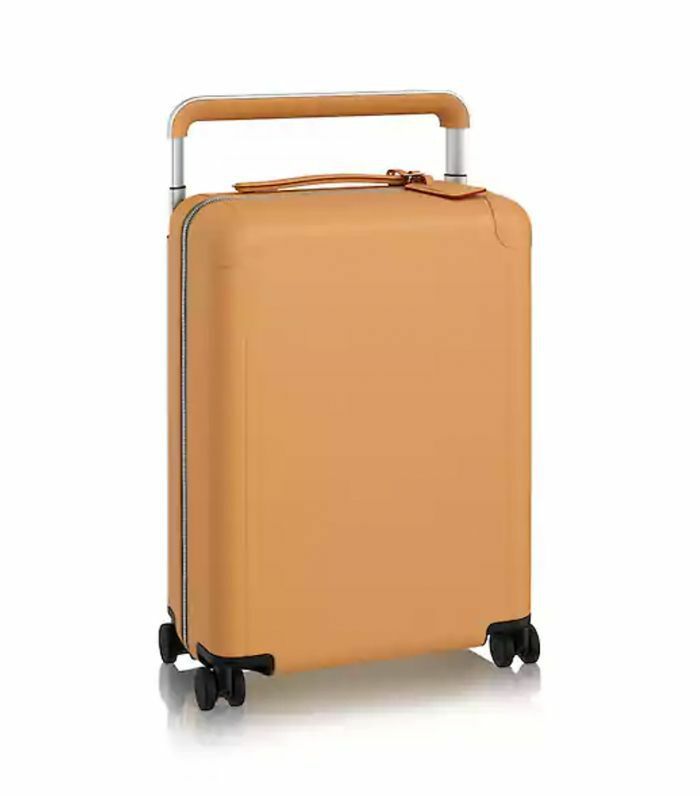 Personally, we prefer this insanely chic camel option over the classic brown LV logo suitcase. The fashion girl's go-to luxury brand looks even better in luggage form. 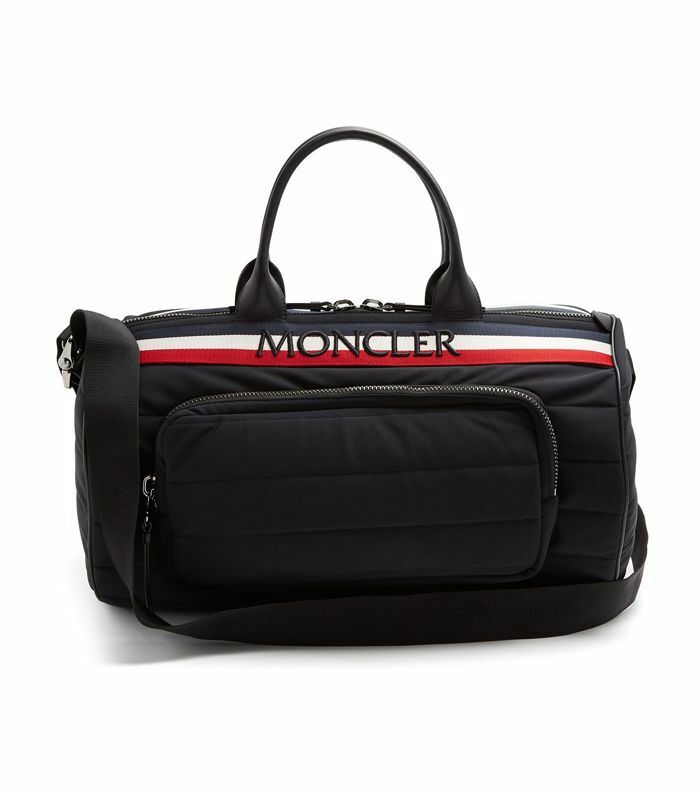 If you have a decent amount of spend to drop on a weekender bag, this should be it. 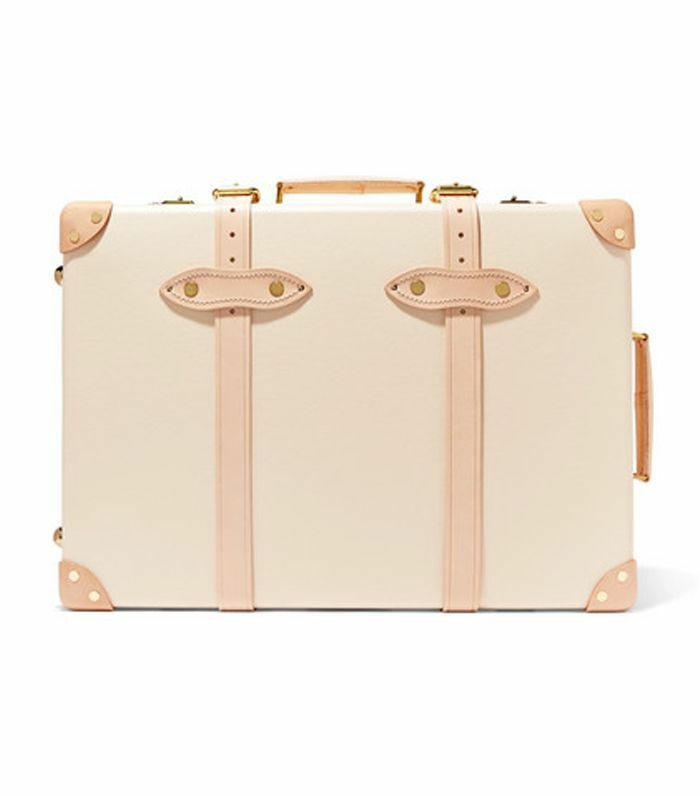 Steamline Luggage makes some of the most elegant suitcases. Inspired by the golden days of travel, the nostalgic designs will tug at your heartstrings. 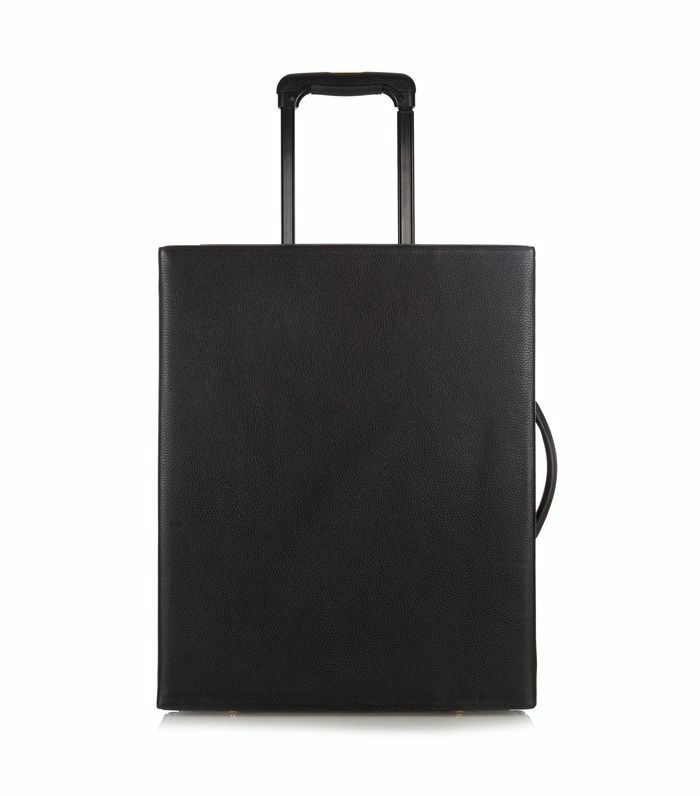 Fabbrica Pelletterie Milano makes some of the most durable, chic, and world-class luggage around. A true investment piece, one of these will keep on working for you for decades to come. 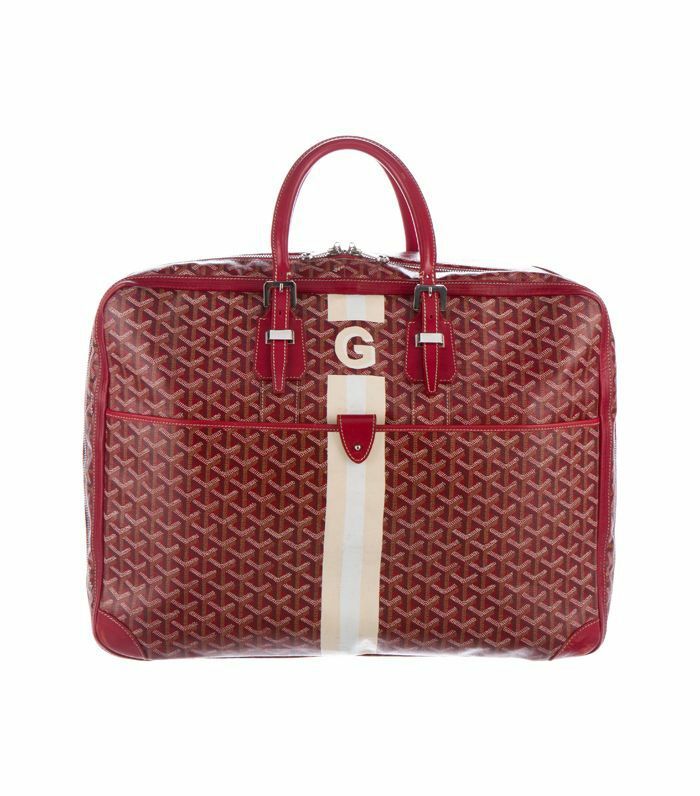 To get your own customized Goyard luggage, you'll have to go to the store—as this luxury brand doesn't sell online. But here's a secret: There are a lot of options on consignment site TheRealReal. 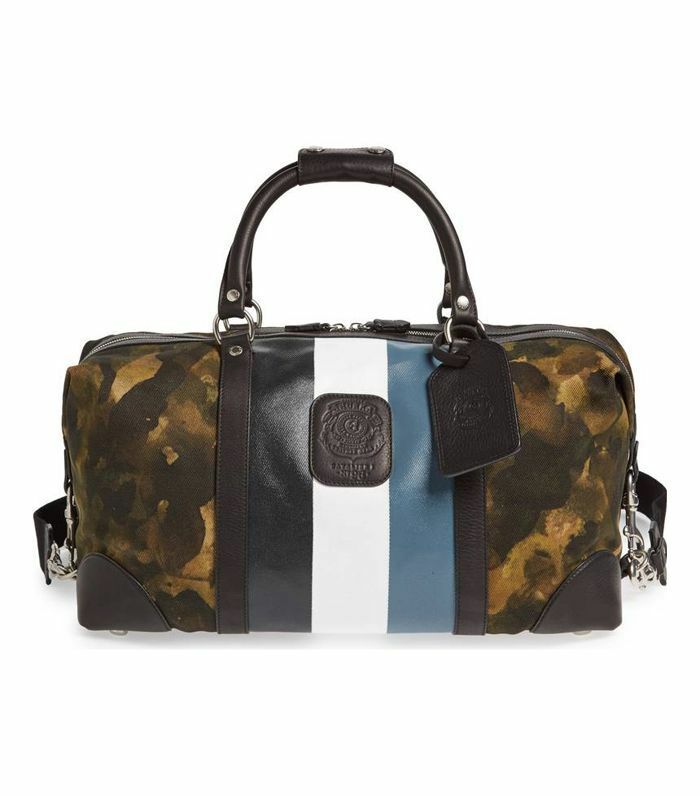 Getaway in style with MCM's white leather weekender bag. This versatile bag will blend in everywhere, from Los Angeles to Tokyo. 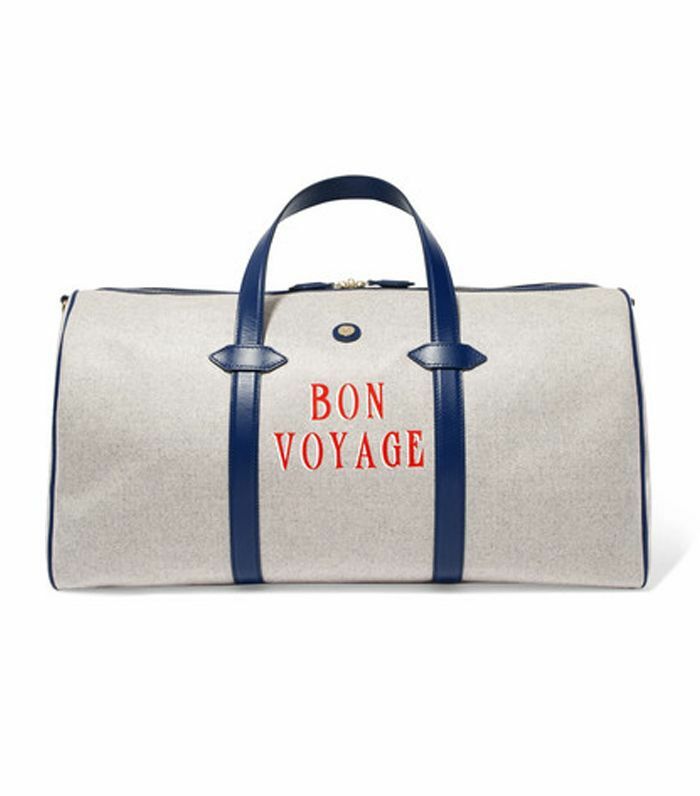 What better bag to take on a ski vacation than a chic Moncler weekender? You'll look right at home once you arrive at Courchevel 1850 or Aspen. Tumi is like the Rolls-Royce of suitcases, so if you are a frequent flyer, there is no better choice for breezing through the airport. 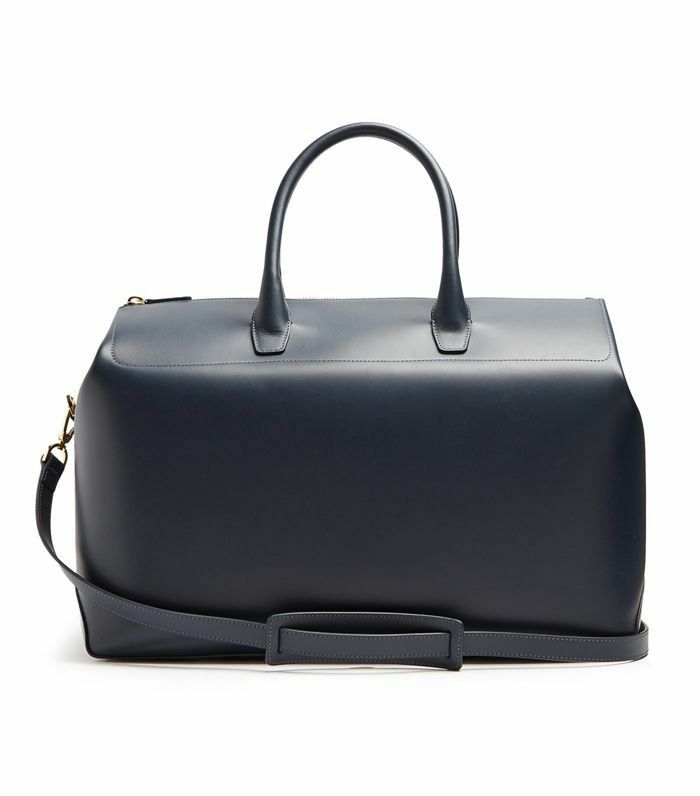 If you are a Mansur Gavriel fan, you'll love the brand's new weekender bag, which is the epitome of minimalist luggage. Founded by Louis Vuitton and Tumi execs, this new luggage brand is bound to become a staple in designer luggage. Best of all, it has an airline-approved, USB-C port for MacBook charging. A Ghurka bag is a perfect accessory to take on your next safari adventure. The brand specializes in rugged leather luggage that is hardwearing enough to last generations. 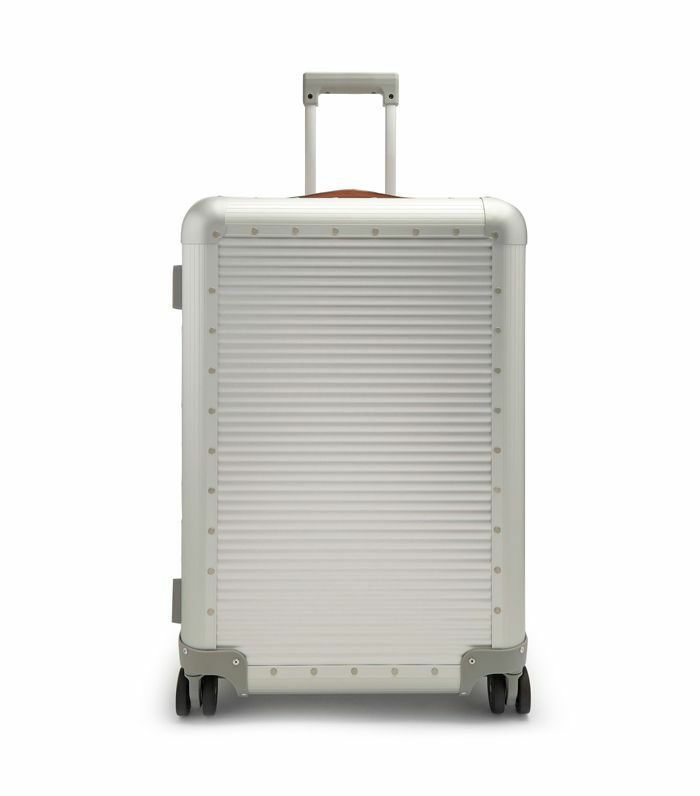 Next up: The best carry-on suitcases will transform the way you travel. This Is a Financial Planner's Response to "My Friends Can Afford Things I Can't"
This $16 Treatment Will Make Your Dry Hands "Feel Like Baby Skin"